Salvage Dior: White Wednesday " seasons "
Beautiful,very elegant, I lake it!!! You always have such beautiful photos . Each day is a gift, and each gift a memory to cherish. Oh I just love that piece of coral, and your chippy white shutter on the wall is just gorgeous! Hey Sweet Kate...These vignettes are just beautiful...like a breath of fresh air for the soul (white does that)!! Wishing your mama a peaceful day! Beautiful pictures as always as is your post! I couldn't find your email but I DID want to thank you so very much for sending in those Halloween jars with the crows for all of us at "the store". Your kindness & thoughtfulness made my day!! Love your photos--very soothing. Happy White Wednesday and have a great week. Your photos and your words are always so beautiful. Enjoyed these..especially that giant cloche. Take care, Kate. Lovely post with lovely photos. Such simple, pretty elegance! Wow-you have such great taste-everything looks so perfect together! 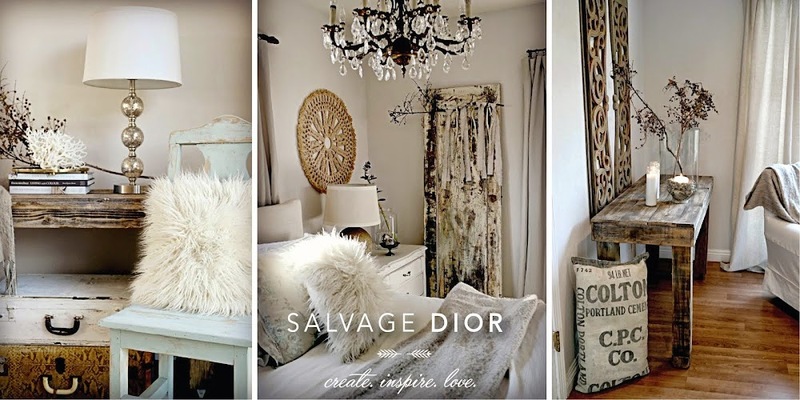 Always such prettiness here at Salvage Dior!! You ooze style Kate! ...Wow I am crushing on the table coral & tumblers! Such powerful words and so true. I agree....white is very claming. Some people think it's boring, but it speakes to me like no other color. I love your photos, they speak to me and my spirit. I want to jump up and decorate, move things around and then I realize it's not just the photos, it's your text... your words. An abundance of gratitude as you say ~ you give back to the soul here. Thank you. Oh, I love the green touches in your space!! And the domes are always so perfectly displayed!! I need to hunt down more treasures like yours! Except I'd want to keep them own, not put them in our space, LOL! I love your slip-covered chair!!! White is so simple yet so elegant and you showcase it beautifully! Each post you do is such a wonderful little gift to us, the readers. Happy White Wednesday Sweeite. Hope you're doing well...Sending you tons of hugs. You are a master at vignettes! Such a beautiful blog... I've just become a follower and look forward to more! sweet poems. Love the whites, can't wait until I am able to have some in the house. If I ever get Country Roads I would head straight to your space. You really find the good goods. Your writing today is so lovely Kate. I wonder if this is why white speaks to me so much. It calms me, soothes me, and quiets my soul. Thank you for stopping by and blessing me today. All those whites & browns totally warmed me up on such a cold day! Just gorgeous!